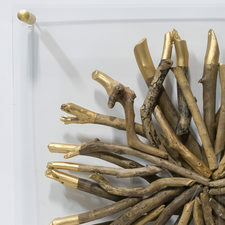 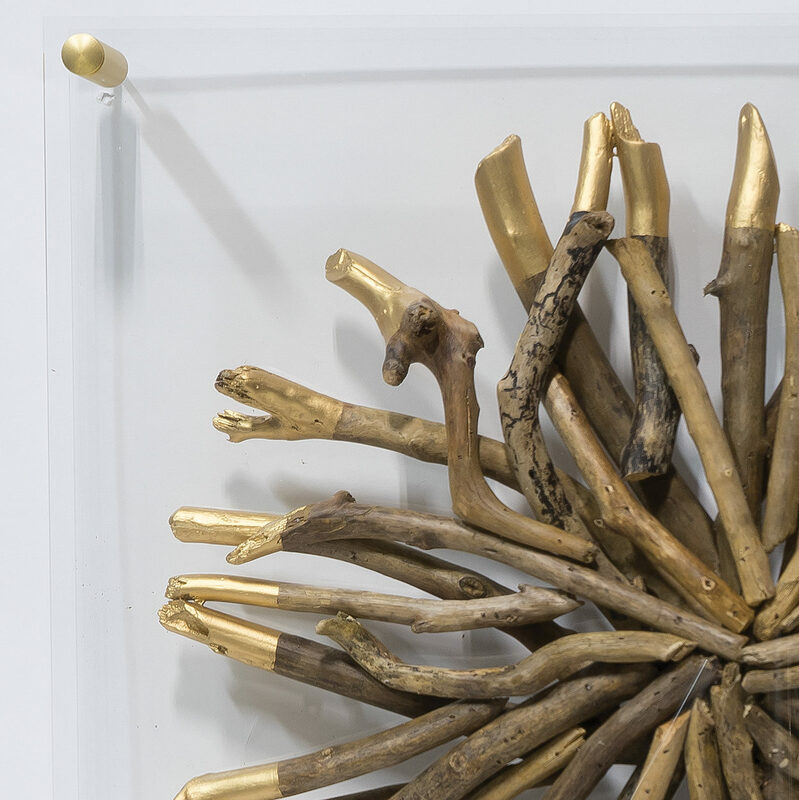 Found assorted driftwood sticks in natural finish with hand-painted gold finish tips suspended between two sheets of acrylic. 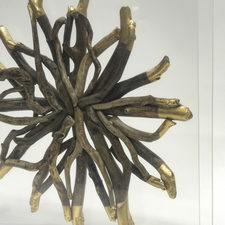 Sticks will vary in size and color; no two pieces will be alike. 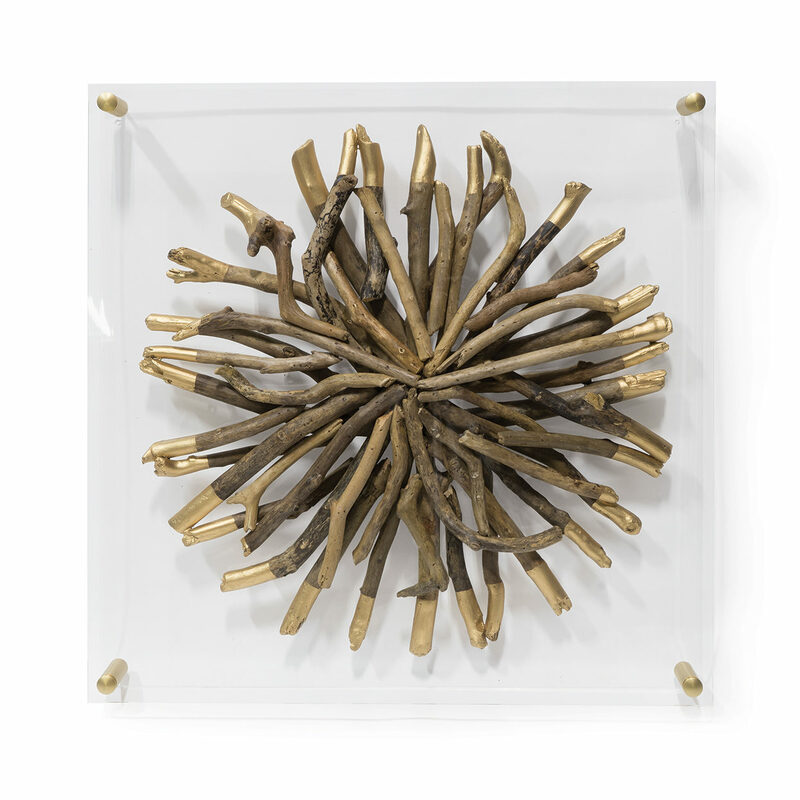 Wall decor comes with antique gold metal finish hardware for mounting.